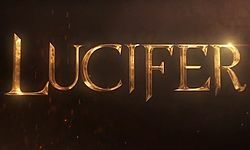 These are my top recommendations for shows like Lucifer. Keep in mind the list is in no particular order. Enjoy the recommendations! “Arrow” and “The Flash” have some new superhero company in the CW’s lineup with the addition of “DC’s Legends of Tomorrow.” After seeing what doom the future holds, time-traveling rogue Rip Hunter realizes heroes alone are not enough to prevent the impending catastrophe that threatens not only the planet, but all of time itself. Tasked with recruiting both heroes and villains, Rip brings together a ragtag team of divergent talents, which includes Sara Lance, Jay Jackson, Ray Palmer, Hawkgirl, Captain Cold and Heat Wave. Based on the feature film of the same name, “Limitless” follows Brian Finch, who, possessed of extraordinary cognitive powers thanks to the mysterious drug NZT, works with the FBI to help solve complex cases. Working with him in New York City are Special Agent Rebecca Harris, an investigator with a dark past, and her confidant, Special Agent Boyle, who’s a former military officer. Brian also maintains a secret relationship with Sen. Edward Mora, a fellow user of the drug who has plans of his own for his protege. Kirsten Clark, who has been recruited to join a covert government agency, has a special ability. Kirsten is able to be “stitched” into the minds of people who have recently died to use their memories to investigate murders. Taking advantage of Kirsten’s ability is Maggie Baptiste, who leads the secret program in which Kirsten works alongside neuroscientist Cameron Goodkin, who is passionate about the work the group does. Other members of the team include socially awkward communications technician Linus Ahluwalia and Kirsten’s roommate, computer science grad student Camille Engelson. When things go well, the team is able to use the “stitching” to solve mysteries that otherwise would have gone to the grave with the victims.